Royal Huisman, the Dutch superyacht manufacturer, has announced the appointment of Jan Timmerman as CEO of the outfit. According to Huisman, Timmerman has a longstanding and successful track record as managing director and president of international businesses in the fields of premium coated aluminium and lighting solutions. 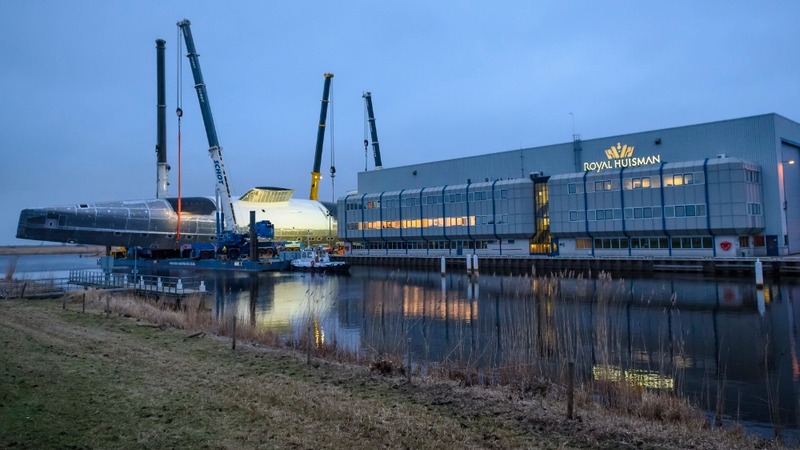 “I am very much looking forward to maintaining and expanding the success of Royal Huisman through blending 21st Century technology and innovation, traditional craftsmanship and timeless values,” said Timmerman. Alongside Timmerman, Royal Huisman’s management team will consist of Jaap Gelling (technical director) and Harmen Peters (financial director). Timmerman’s appointment follows a turbulent period for Royal Huisman that has seen it lose, and subsequently replace, a series of senior staff members, as well as expand its facilities to include the use of yards in Amsterdam and Germany, acquire a minority share in P&G, launch 58m S/Y Ngoni and sign the yards first motoryacht since 35.8m M/Y Arcadia was delivered in 2006 – 55m project Phi. Royal Huisman currently has one sailing yacht project in build, 81m project RH 400 is due for delivery in 2020.